Are you a great ‘people person’? Do you have well honed people management and organisational skills and the ability to inspire others? Do you want to make the difference in the local community? Then we are looking forward to hearing from you! RSPB local groups are run by volunteers to promote the aims of the RSPB in the local community. They offer RSPB members and the public the opportunity to get more involved in our work to save nature. Groups run activities like indoor talks and outdoor walks. They fundraise and campaign for the RSPB and attend local community events to inspire people to support the RSPB. We’re looking for the right individual to lead the Loughborough Local Group. Importantly you don’t need to be an expert in birds – people skills are much more important for this role. To lead the group and encourage the development of a range of activities designed to encourage wide participation from the group membership and to attract new group members. Attend a two day group leaders training workshop at our headquarters in Bedfordshire within your first year in role. Ensure a completed local group annual report and annual financial return is sent to RSPB HQ annually. Lead the group committee (usually 6-10 people); ensure each committee member has clearly defined roles and responsibilities; provide support and encouragement as required; manage any situations where a committee member has to resign at short notice. Maintain a two way communication with your Regional/Country Office and HQ in order to: disseminate any important news updates and messages to the committee and membership; seek guidance/advice where needed; notify the regional office of any changes to the committee. A great ‘people person’ with good communication and interpersonal skills – friendly and approachable with the enthusiasm and ability to motivate others and work with a wide range of people from different backgrounds and of different ages. Always assumes positive intent in others. An excellent leader of people with sound delegation and organisational skills and the ability to be diplomatic and impartial when there are differences, and reassuring and positive when there is disappointment. Shows concern for people’s well being, treats others as equals and takes time to ensure group volunteers feel recognised and appreciated for work well done. Creative, forward thinking, willing to try new things. Open to ideas and suggestions from others, supportive of appropriate new ventures that the committee may wish to pursue, trusts the decisions and expertise of others. Able to identify areas that may need change, implementing change in a sensitive manner. Aims for high standards of efficiency, reliability and quality. Computer literate with internet and email access. 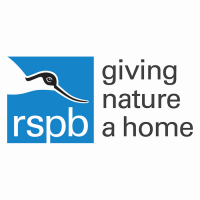 A commitment to the work of the RSPB and supportive of the Saving Nature Strategy, eager to inspire people to care about what the RSPB is trying to achieve. Always speaks positively about the RSPB and advocates for the RSPB brand. Respects the need for confidentiality when dealing with confidential information. Adhere to the RSPB’s policies and procedures whilst volunteering and co-operate with members of staff to achieve the aims of the charity. Accept that ultimate responsibility for the affairs of the charity rests with the charity’s Council and Management Board. Group leaders must be members of the RSPB. You’ll get to meet new people and make new friends! You can utilise your skills to further develop the group and help ensure the RSPB and the group work together effectively to save nature. As leader you could use the opportunity to take on a new challenge for the group and flex your leadership and/or creative muscles. Perhaps the most rewarding aspect of being a local group leader is knowing that you’re really making a difference in inspiring others to help save nature.